This week I’m looking at the very personal matter of choosing art for your home. Now I’m fully aware that we all see the world differently and are inspired by many different things, so this weeks blog is more of a guide for those needing some extra inspiration to style their home with art. Generally speaking, when we think of art we think of paintings, photographs and sculptures. To define the term, art is "the expression or application of human creative skill and imagination, typically in a visual form such as painting or sculpture, producing woks to be appreciated primarily for their beauty or emotional power." [Oxford Dictionary] With that in mind, it could be argued that anything created by the human mind and then put on display has the potential to be viewed as art. Some trending alternatives I've seen lately are funky hats and indigenous weaponry, as well as macrame hangings and retro surfboards. If you want to go big that's fine, just remember that you'll need plenty of space to accommodate it’s size. Putting a large piece of art in a smaller room will instantly make the space feel tighter, but, if you do have the room (in my opinion) there's no better way to make a statement. The same goes for smaller pieces and making sure you either create a gallery wall with multiple works or at the very least, have 2-3 smaller pieces side by side. What I mean by that is to choose an artwork then let the colours and tones of the piece set the style of your room. Whether it's a refresh or a total makeover, starting with art allows you to use the piece as a reference point for dressing and styling a room. 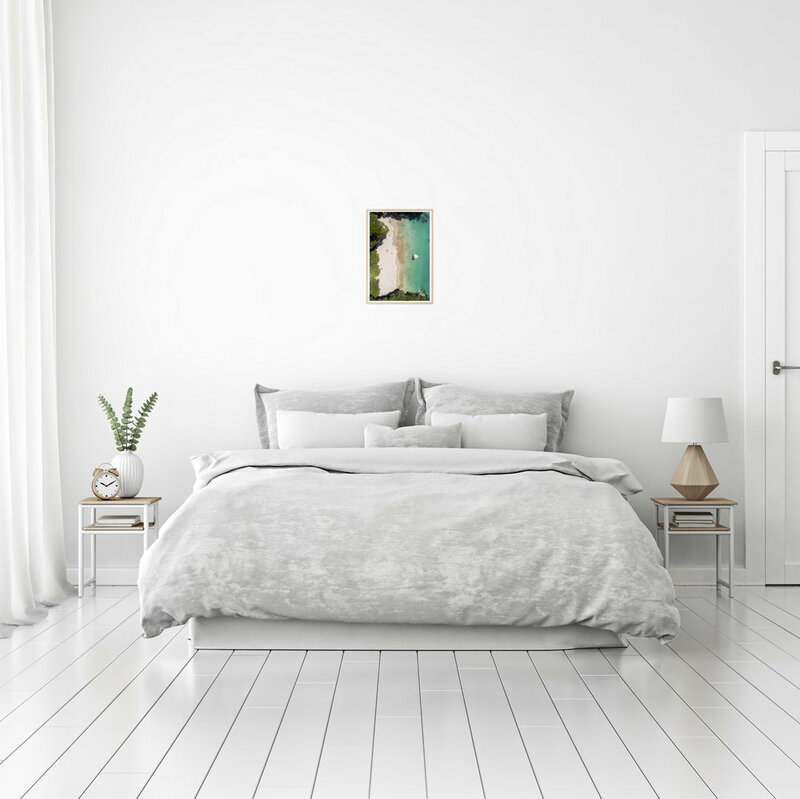 Alternatively, if you already have a room styled to your liking you could shop around for works that have the same colour palette of your decor. The last (and most important) tip for choosing art for your home is to go with your heart! At the end of the day it's your space and you're the one that's going to be staring at it every day so choose something that inspires and resonates with you and your family. If you love it, buy it - it's as simple as that!!! We're all pretty unique creatures and are shaped by many different experiences and interests so of all the tips, this is the most important one to think about before curating art for your home. That’s it for this week - if you’ve got anymore tips feel free to leave them in the comments section for other readers!!! …for inspiration, updates, tips and other assorted awesomeness. Go on, your inbox will thank you for it.